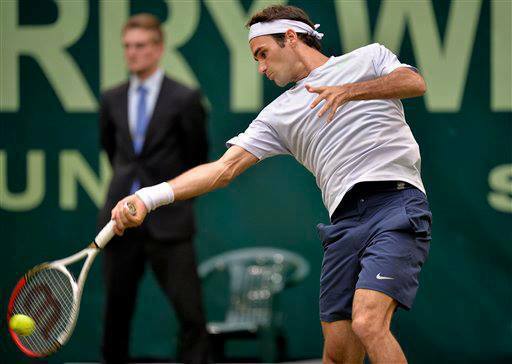 Roger Federer eased his way past Cedrik-Marcel Stebe Wednesday at the Gerry Weber Open, advancing to the quarterfinals in Halle with a 6-3 6-3 victory. The Swiss maestro was broken while serving for the first set, but he immediately broke back and jumped out to a 3-0 lead in the second set. There was no challenge from start to finish, as Federer’s focus is now solely in singles after losing in doubles with Tommy Haas on Monday. The Swiss is seeking his sixth title in Halle. Full match video (1st set). Full match video (2nd set).